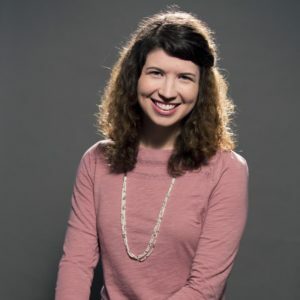 A note from Kelly King: Each month, we will feature a leader who ministers to women, either through the local church, a non-profit organization, or in the marketplace. In today’s Q&A, Ashley Chesnut is featured. Ashley is a young adult minister in Birmingham and a frequent trainer at LifeWay’s You Lead events. You can hear Ashley in 2019 in Long Beach, CA on February 22 or Woodstock, GA on September 27.
Who has been most influential in your ministry leadership and how did they influence you? My mom. She’s been a college minister with BCM for my entire life, and much of what I know about ministry and discipleship has come from watching and learning from her. While my mom didn’t have seminary training and fell into campus ministry, she’s evidence of what God can do through His people, His Word, and His Spirit. She has lived out what it looks like to love and walk alongside people, and she’s the most servant-hearted person I know. Mom is usually the person I call when I need to talk through things happening with the ladies in our church’s Singles 20s/30s Ministry. How do you practically spend time with the Lord each day? What is your normal practice? Digging into the Word is an essential part of my day. Because I’m not a morning person and don’t have a husband/kids, I typically do this in the afternoon/evening when I get home from work, or if I have evening plans, I do it on my lunch break. I rotate between an Old Testament book and a New Testament book (I’m currently in Luke). Because I write to know what I think, I take notes on what I’m reading in Scripture and am usually weaving in prayer into that time—both based on the biblical text but also for the girls God has placed in my life and other requests that I’ve noted in my notebook. My small group is working on memorizing Romans 8, and we’re using the Verses app to do this together since it helps us see each other’s progress. So, I also review this several times a week. What is your best piece of leadership advice to another women’s ministry leader? Get to know the counselors in your area. Make an appointment to meet them and take cookies or a veggie tray to their offices. I could easily spend all day every day meeting with hurting women in our ministry, but while that is part of my role, it’s not all of it. Plus, many of these women need a level of help dealing with their trauma, addictions, etc. that I am not equipped to provide. Our church’s Women’s Minister and I have made appointments and have met with at least four different counseling offices in town, and this has allowed me to build relationships with counselors, to have a better idea of what counselors would be a good fit for the ladies in our Singles Ministry, and to ask certain questions (like about their views on masturbation and homosexuality) to know what they would be telling their clients. We’ve also developed a waiver that their clients can sign that would enable me or our Women’s Minister to talk with the counselor. We want to partner with the counselor, and often, we see our people more than the counselor does. I had a recent situation where this waiver enabled a counselor and I to work together in a precarious situation, and if that waiver had not been signed, we would not have been able to communicate to get someone the life-saving help that they needed. What is your current leadership struggle? Like most of us who work in ministry, I wear many hats in my job at the church, and it’s a constant balancing act in evaluating which of those hats needs the bulk of my attention for each particular week. I’m a recovering perfectionist, so I want to do it all and do it all well. But the fact that I can’t do it all and do it all well all of the time is something I constantly have to keep remembering. And in July-September, which is to church ministry as tax season is to accountants, this is especially true. God gives me grace and strength for today, and I’m to trust Him and be faithful with today, whatever hat(s) that requires me to put on. What “new” thing are you trying this year that is requiring faith? Because singles ministry has a constant revolving door of people moving in and out of our city (or getting married), it’s been a challenge to create an ongoing leadership pipeline in our church’s Singles 20s/30s Ministry. At the same time, we are always needing new small groups, especially in the fall because of the influx of folks jumping in after graduation. So, our Singles Minister and I launched a new co-ed group this August called Starting Point where new folks can land. To help with leadership development, we identified potential leaders whom we asked to be table discussion leaders in this group. Since becoming a small group leader is a big commitment, people are hesitant to jump into it, so with this group, we asked for them to commit to being table leaders for the fall and to only do this if they were willing to pray about whether or not to lead a small group after this semester. We provided a discussion-based curriculum on foundations of the Christian faith, and during this semester, I’ll be meeting with the female table leaders one-on-one to coach them as they lead and meet with the girls who are at their table. We are hoping that small groups develop out of Starting Point and that God will use this group to help singles from all sorts of backgrounds have a firm grasp on the gospel and how to grow in their relationship with God.